Last month we saw two rousing rounds of testimony at the Transportation and Environment and Business and Economic Development Committees of the DC Council on the Clean Energy DC Omnibus Amendment Act of 2018. The bill proposes a 100% Renewable Portfolio Standard (RPS) by 2032 with a 10% solar carve-out by 2041. The legislation is a huge step forward to address the effects of climate change and increase local solar generation. But DC isn’t the only city stepping up to the plate. In October, Denver passed a revision to the Municipal Code requiring new building projects to include a combination of green roofing, on-site solar, and renewable energy purchasing. More recently, the Philadelphia City Council passed legislation supporting bulk purchasing of solar power and putting funds towards the construction of a 70 MW solar farm. Some cities, like Fresno and Los Angeles, have quietly paved the way for statewide policies like California’s new 100% RPS bill. According to the National Renewable Energy Laboratory, however, a majority of American cities could be producing 50 times more solar energy than their current PV capacity. These cities should embrace solar for its public health, security, and economic benefits to urban areas. Solar is particularly necessary in cities because it improves air quality and cuts down on high levels of concentrated pollution. Worldwide, the energy sector is the largest emitter of harmful pollutants, and the International Energy Agency estimates global premature deaths from air pollution will increase from 3 million in 2015 to 4.5 million in 2040. The largest share of emissions of nitrogen oxides, sulfur dioxide, and fine particulate matter come from the oil, coal, and biomass industries. In cities, these energy production methods are concentrated, leading to higher pollutant outputs. The National Institutes of Health have linked these pollutants with asthma, lung problems, cardiovascular disease, and death. Solar has the answer for cities whose air pollution is becoming a health crisis. Solar panels produce none of the previously mentioned air pollutants, and the impact of solar can actually offset emissions that damage air quality. A study for the journal Nature Energy found that from 2007-2015, the combined installation of new wind and solar power in the US reduced premature air-quality-related deaths by 12,700. On the city level, San Francisco Supervisor Hillary Ronen recently described transitioning towards wind and solar energy as a priority in the city’s new air quality emergency plan. In Portsmouth, New Hampshire, a robust Power Purchase Agreement, the development of 700,000 kWh worth of new solar in 2016, and the expansion of tax benefits for homeowners with rooftop solar arrays have had pronounced impacts in the form of steep reductions in air pollutants. For higher-density urban areas, air quality is closely linked to the health and well-being of citizens, and solar helps protect them from the harmful pollutants generated by other energy production methods. Cyberattacks on the electrical grid are becoming more and more common, and cities, with their high concentrations of people, are prime targets for those attacks. Solar makes cities safer by protecting the grid.While the administration has framed coal as the key to grid security, Russian government hackers have been studying and infiltrating the US power grid since 2015, despite coal subsidies and industry growth. A March 2018 poll reveals 90% of Americans think the government is not doing enough to protect the electrical grid from a cyberattack. By continuing to advance traditional energy production, cities are leaving themselves vulnerable to these attacks. Solar energy sources add valuable grid diversity that protects against major blackouts during a cyberattack. Recently, US Military bases have been diversifying their energy sources using solar and battery storage to better secure electrical grids. Rooftop and on-site solar allow for grid complexity that safeguards against widespread hijacking of power production. Those protections play out on the individual, community, and city-wide levels, and are important for city governments to explore. As cities evolve into the new age of smart infrastructure, this diversity model based on solar will be key in developing system protections. Through job creation and ratepayer savings, cities can use solar as a tool to address energy burdens in low to moderate income communities. In many cities around the country, including Baltimore, high energy prices disproportionately affect the poorest urban residents. In these cities, the lowest 20 percent of earners spend almost 10 percent of monthly income on electricity, whereas the highest 20 percent spend just 1.38 percent on power costs for their homes. At the state level, Massachusetts, California, New York, and others have attempted to address high energy burdens through solar programs. City governments, however, are more acutely aware of specific development areas that could benefit from solar programs. Cities have the capacity to combine affordable housing development and solar to create savings for residents. A prime example is the Solar Works DC program, a collaboration between GRID Alternatives Mid-Atlantic, the DC Department of Energy, and the DC Department of Environmental Services. Solar Works DC simultaneously trains low-income DC residents for productive careers in solar installation, while providing high-quality, money-saving solar arrays for qualified low-income homeowners in the city. MDV-SEIA awarded Solar Works DC with the 2018 Solar Program of the Year award in October for its work to provide living wage jobs in the District and save residents money on their energy bills. Solar Works DC sets a successful example to follow among cities. 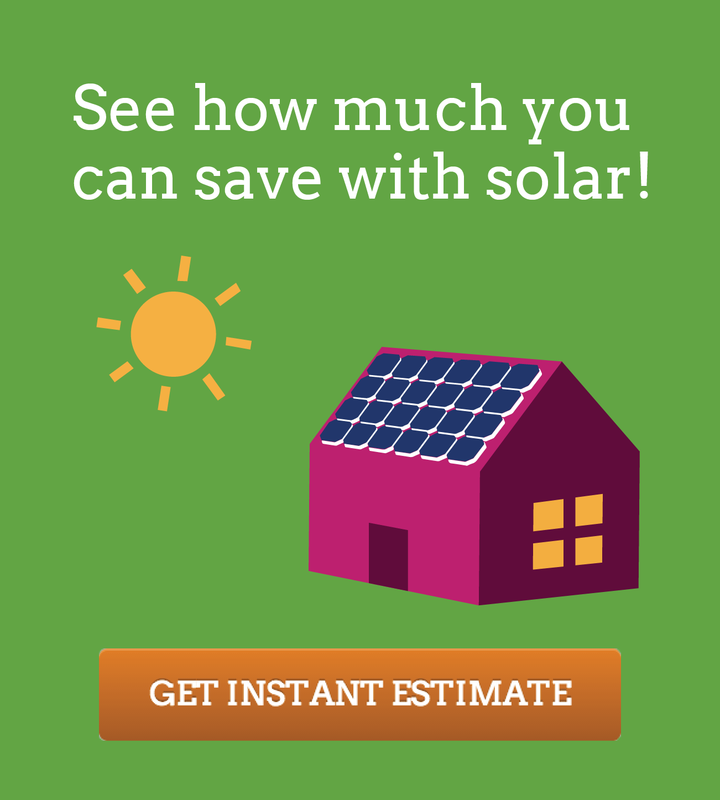 Advocate for statewide community solar programs: large cities have a lot of pull when it comes to state policy, and community solar can expand solar energy options for renters and apartment-dwellers. Erin Phillips is the Communications and Marketing Intern for MDV-SEIA and a soon-to-be graduate of George Mason University. Her BA is in Social Innovation and Enterprise with a minor in Nonprofit Studies. She is a passionate advocate on a range of urban policy and climate change issues, but is particularly interested in urban renewable energy infrastructure.